We believe that our premises are a community resource and welcome any enquiries for regular group meetings or one off events. To check availability refer to the Meeting Room Booking page. Ground Floor – the main hall that can be used for activities such as dance and theatre groups, health and fitness sessions and large social events. There is permanent theatre lighting and a flexible public address system. 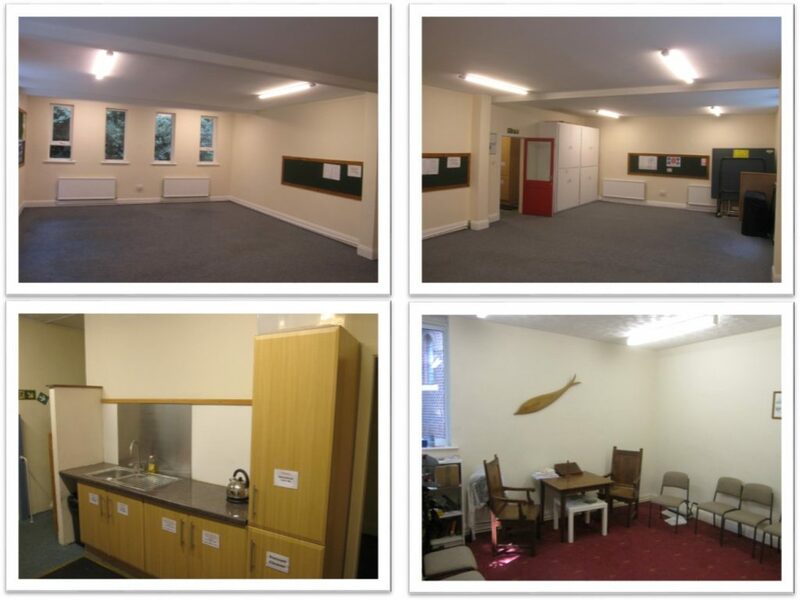 Adjacent is a fully equipped kitchen and separate side room that can be used for serving refreshments. Maximum seating capacities are Conference style -120, Theatre style – 80, Café style 60. Disabled toilet facilities are on his floor. Upper Hall with seating for up to 70. The Vestry with seating for up to 25. A refreshment bar is located on the corridor for the preparation of drinks. The church has excellent acoustics and is an idea location for choirs and music groups for regular practice sessions or public performances. There is seating for 135.